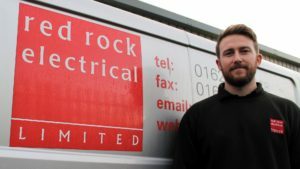 red rock electrical ltd are currently looking for Electricians based in the Chelmsford region, due to a high number of contracts in the area. Candidates must be 17th Edition and Test and Inspection qualified and have a clean driving licence. If you are looking for a new challenge, this could be the right opportunity for you! For more information on the roles available please follow the link below or alternatively download an application form via our Contact Us page.